Named for a recent fossil find in Siberia, this gene probably originated in Southeast Asia among the people with archaic features known today as Austronesian. 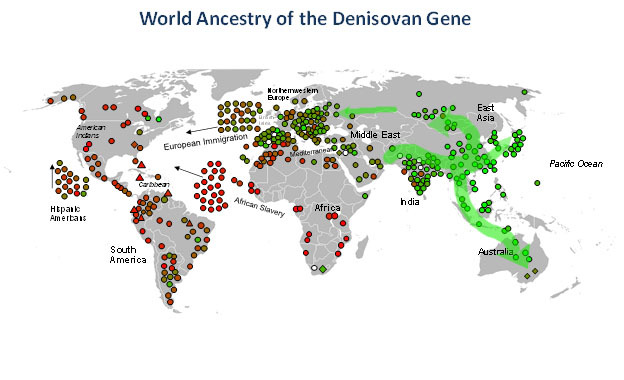 The Denisovans occupy a similar position in Asia to Neanderthals in Europe. The gene named in their honor is spread over East, Southeast, Central and North Asia at levels of 26%. It is most common in Vietnam, Borneo and China. It is least common in blacks, Melungeons, Jews, American Indians and Europeans (except for Basques). But only a very few populations are entirely without it—testimony, once more, to the unified origins and interrelatedness of all human beings. 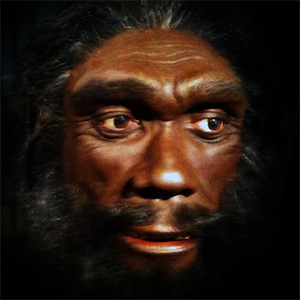 The gene named in honor of Asia’s counterparts to Neanderthals is most common today in Vietnam, Borneo and China. It has a modest presence on other continents.